couldn't get enough of it, although we tend to mostly use it for sticking to each other and making crowns. Dandelions are good, and easy to identify. 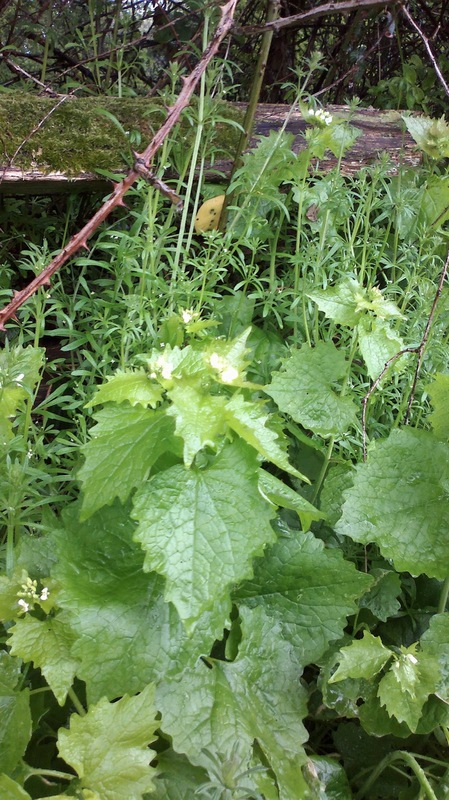 A few leaves add a nice bitter twist in sandwiches and salads, and the petals are also edible. Go easy on the leaves though, as they are a diuretic (hence the folk name 'pee-the-bed'). My absolute favourite at this time of year is wild garlic, or ramsons, which is hugely prolific in our neck of the woods. It's a good starting-out with foraging plant too, because it smells pungently of garlic, and the wide green leaves don't look much like anything else at this time of year. Still, if you've not been foraging before it's worth booking into a guided walk to make sure you're doing it all safely. For example, I wouldn't personally eat foraged mushrooms, because despite the biology degree and years of fieldwork, I'm just not that confident that I won't poison myself. So what to do with all your foraged goodies? 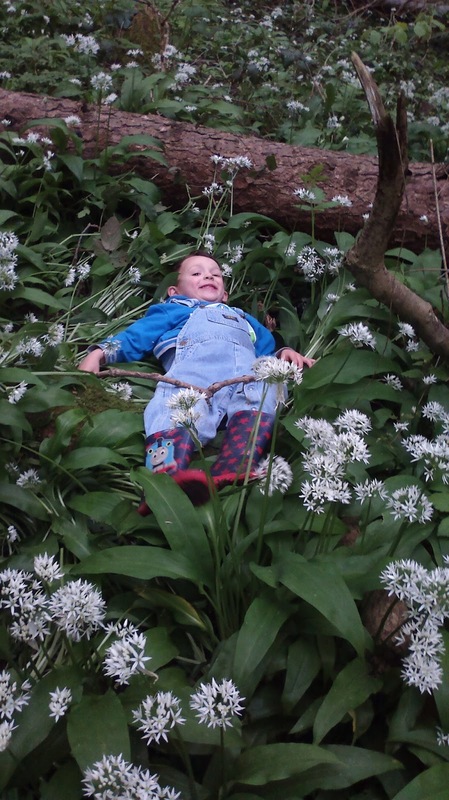 In the case of wild garlic, the opportunities extend to anything you would use plants from it's family for - think of mild garlic, chives, leek, shallot, salad onions. We really enjoyed wild garlic omelettes last year for example. After our latest trip, Ollie had got a bit carried away and filled a whole bag. It's really important not to deplete an area, and to use everything you take away, so my standby for excess ramsons is 'wild garlic butter' patties. Wash your ramsons leaves. 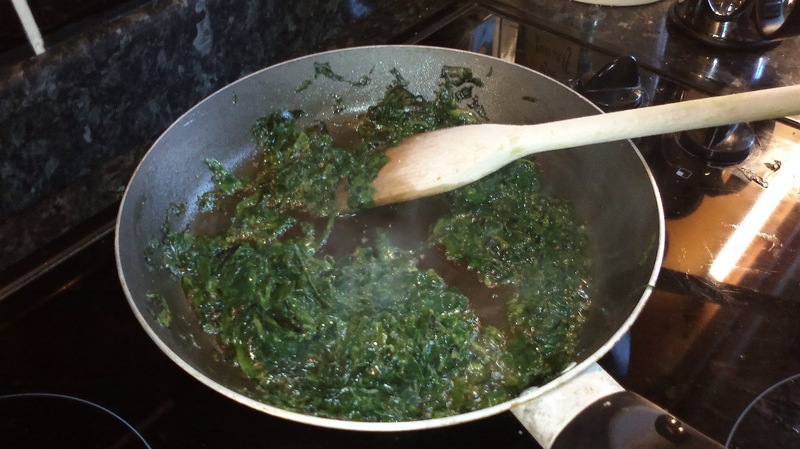 chop them up finely or whizz them with a blender, then mix up with butter. 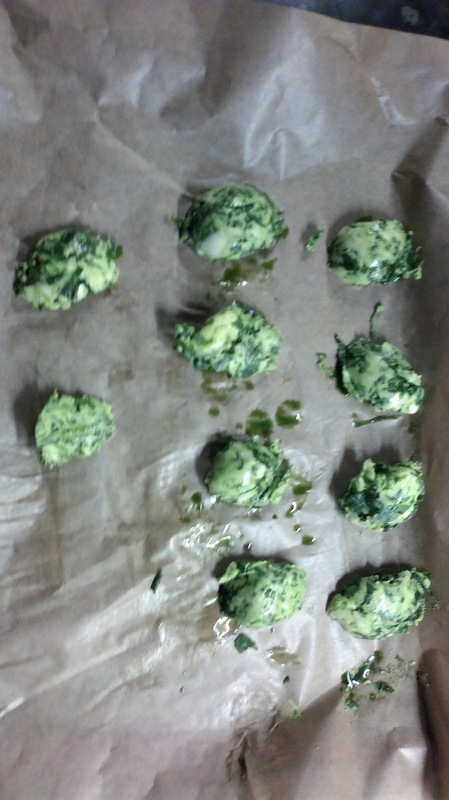 Use two teaspoons to form patties, arrange on a baking sheet and then pop into the freezer. When they're frozen, you can tip them into a freezer bag and just take out a couple as needed. They're great put in with a piece of fish in a tin foil parcel in the oven. We also wilted chopped ramsons in butter and used it for a really decadent topping for mashed potatoes. The pungency of this plant makes it really appealing to my boys - Toby liked stirring the chopped ramsons into the butter, and Ollie had a go at making the patties with teaspoons, although after running around collecting them he was more interested in eating the finished product than doing the cooking this time. If you're not near somewhere sensible for collecting wildfoods, or you are really nervous of picking up the wrong thing (it's always best to be cautious), then you can provide a similar experience for your kids by growing a few eatables in your garden, or by taking them to pick-your-own farms. The highlight of Ollie's toddler year was the trip to Tanyard Farm PYO, although I did have to warn nursery they might be in for some odd nappies the next day :) Alongside the traditional PYO soft fruit farms, we've even been to some where you can pick veg such as spinach, so you can have a real field-to-table experience and make a whole meal from your gleanings. Hopefully after the deluges and flooded fields last year, this year we'll be able to go fruit picking in the sunshine. Cool. If you come over again in Autumn we'll take you cep and parasol hunting. Although you have to be here when the moon is right. Last quarter during October or early November (Weather dependent) THe ramsons you bought over are surviving looking forward to seeing if they survive the winter. This week I found pignuts, the foragers holy grail, I would tell you where........but then I'd have to kill you! Wow, I'm ashamed of the amount of time I've spent trying to truffle up pignuts unsuccessfully after watching Ray Mears as a teenager :) We will definitely be back, although how is a bit of a sticky issue atm since we're still paying off the last trip :) Hopefully the Green Parent cover article will pay off!